Terrance Ferguson is an A professional basketball player who plays in the National Basketball Association (NBA). As of 2019, Terrance Eugene Ferguson currently plays for the Oklahoma City Thunder as their Shooting Guard. 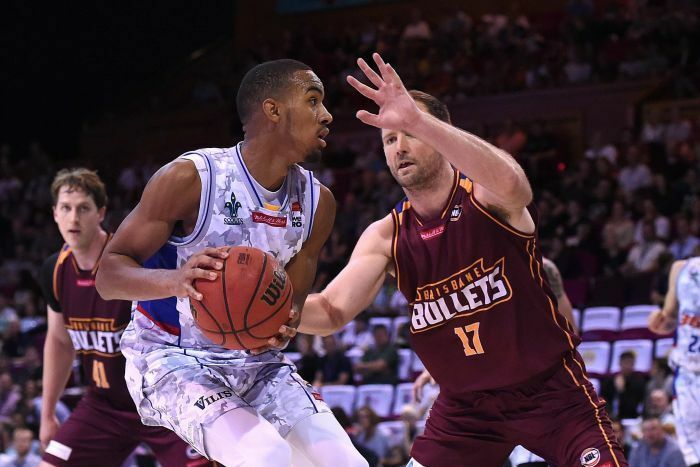 Terrance Eugene Ferguson has played for other teams like Adelaide 36ers. As a Shooting Guard, Terrance Eugene Ferguson reportedly earns around $2,118,840 dollars as his yearly salary from Oklahoma City Thunder. Further, he has an estimated net worth of over about $4 million dollars. As of 2019, Terrance Eugene Ferguson has an estimated net worth of over about $4 million dollars. He reportedly signed a rookie scale contract with Oklahoma City Thunder in 2017. Further, the NBA player has an average salary of $2,118,840 dollars annually in 2018-19. Terrance Eugene Ferguson so far has made earnings of about $3,903,840, playing two seasons in NBA. Other than being a famous NBA Shooting Guard, Terrance Eugene Ferguson used to be pretty famous in social media. However, he has recently deleted both his Instagram and Twitter accounts after a lot of unwarranted abuse in social media. Ferguson has been dating his fiancee, Lawren Jensen for quite a long time. Together, they had a daughter named Layla Rose Ferguson who was born recently. He missed two games for the birth of his daughter. Ferguson announced an engagement with his fiancee on his Twitter. We hope that they exchange their vows very soon. 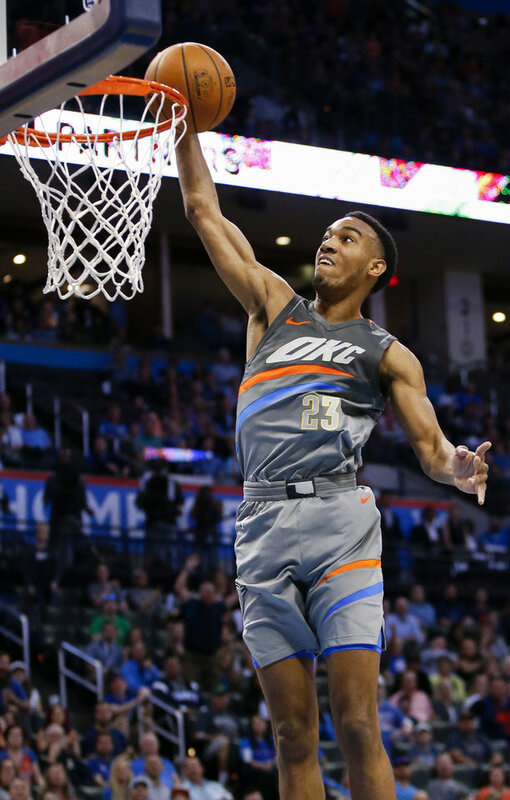 Terrance Eugene Ferguson was born on May 17, 1998, in Tulsa, Oklahoma to parents, Terrance Ferguson Sr. and Rachelle Holdman. As per his nationality, he is American. Further, his star sign is Taurus. He grew up along with his siblings, Brandon and Brittnay. Terrance Eugene Ferguson attended Prime Prep Academy in Dallas, Texas where he played for his high school basketball team. Terrance Eugene Ferguson, in his high school career, held an average of 17 points and 3.5 rebounds. Rather than attending college, he decided to pursue professional opportunities. Ferguson's professional career officially began after he signed with the Adelaide 36ers for the 2016-17 NBL season. He made his debut against the Illawarra Hawks scoring a total of 10 points. He further scored 13 points against Melbourne United and another 13 points against the Brisbane Bullets. Ferguson was selected by the Oklahoma City Thunder with the 21st overall pick in the 2017 NBA draft. In July, he signed a rookie scale contract with the Thunder and further was assigned to the Oklahoma City Blue of the NBA G League. In January 2018, he scored a career-high 24 points in a winning game against the Los Angeles Lakers. His teammates include players like Steven Adams, Paul George, Abdel Nader, Nerlens Noel, Patrick Patterson, Andre Roberson, Dennis Schroder, Russell Westbrook. etc. Ferguson also played with the USA Basketball Men's U16 National Team and won a gold medal. He further won another gold medal playing for the USA U17 World Championship Team. He played in a total of 7 games averaging 9 points, 1.3 rebounds and 1.6 assists per game. In 2015, he won his third gold medal at the 2015 FIBA Under-19 World Championship, scoring an average of 6.1 points, 1.6 rebounds and 1 assist per game. Terrance Eugene Ferguson is not only a world-class athlete but also has a very attractive individual. The Famous NBA star is 6 feet 7 inches tall and weighs around 83 kgs.